Over the past month, I’ve had the honor of being a part of a project so lovely it takes my breath away. A delightful couple in Ballston Spa, NY (just outside of Saratoga Springs) contacted me around Mother’s Day with an opportunity to build a nature preserve, with native plant gardens on a half an acre of their property. The parcel had been allocated, “forever wild” land by the town, but over the past 15 years the couple watched with disappointment as each and every one of their neighbors planted lawn in that “forever wild” allocated space. They had left their piece as undisturbed meadow, prairie and young woodland but somehow it did not feel like enough. And so they called me, the happiest native plant garden designer of the year. What a delightful project to be a part of. My friend Colleen has a farm in Washington County, and she once described the view of nature on a farm, how you just can’t stop it. Nature bursts out of the cracks and it’s so wild, untamed and so different than what we get a chance to experience in urban or suburban settings. Everything about building this nature preserve and native plants gardens has reminded me of Colleen’s explanation of her wild farm. The nature is just so tangible! My design strategy was to simply cooperate with the ecosystem as she stood and not overthink it. Our first step was to plant woodland gardens throughout the naturally occuring woodland areas. 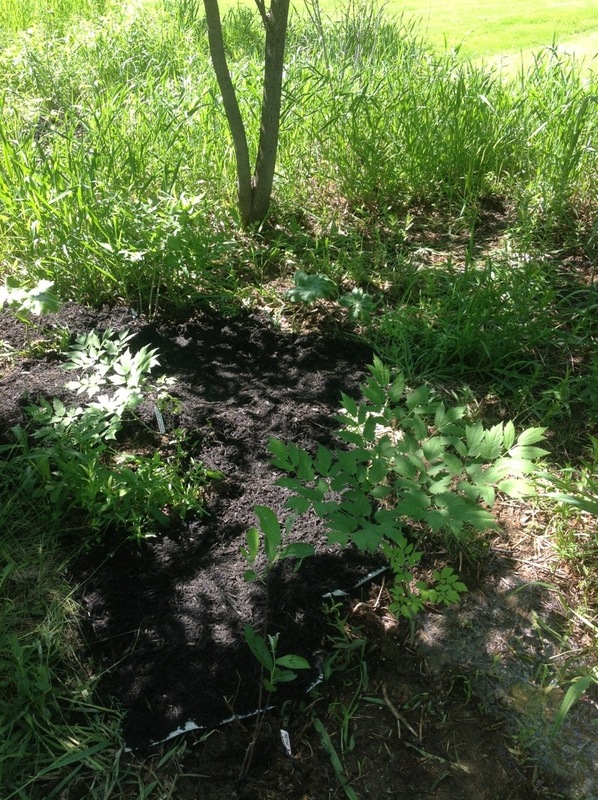 Lots and lots of shade tolerant native shrubs were used including Lindera benzoin (Spicebush- host plant to the Spicebush Swallowtail butterfly), Aesculus pavia (Bottlebrush Buckeye), Clethra alnifolia (Ruby Spice Clethra) and Amelanchier canadensis. Shrubs and trees are the bones of any garden or natural area, and it felt appropriate to begin such a large endeavor by building a structure with woody plants. Many understory forest floor level herbacious plants were also added to the woodland gardens including Podophyllum peltatum (Mayapple), Caulophyllum thalictroides (Blue Cohosh) and Actaea pachypoda (White Baneberry). The second step was to build a nature trail that circles through the entire property, connecting all the gardens and making the nature preserve seem accessible. Building the nature trail was so much fun, I can’t even tell you. 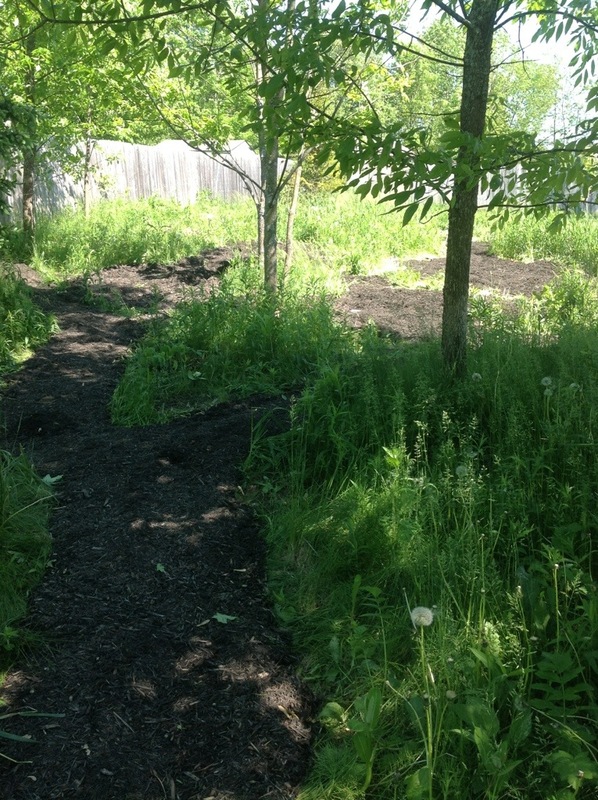 Next we used lasanga garden, organic no-till strategy to create prairie gardens and wildflower meadow gardens. So many, many beautiful native plants were added. 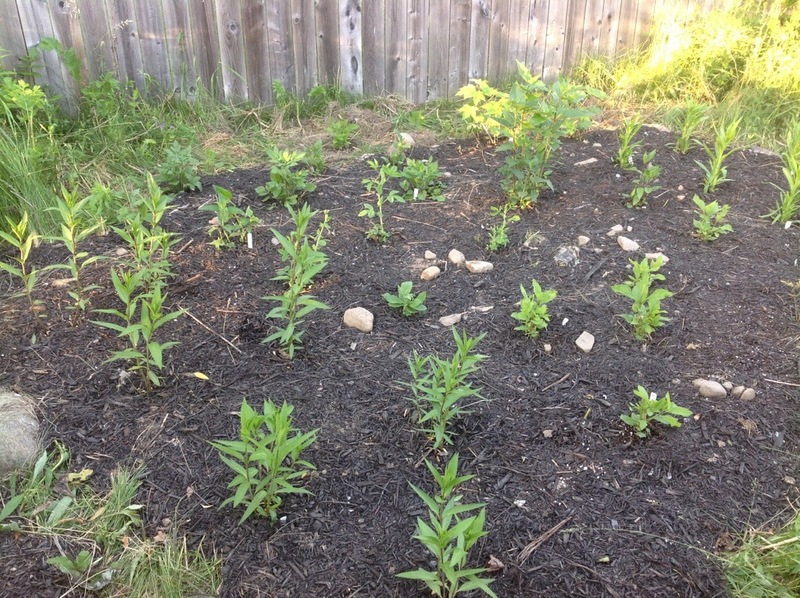 (There’s no way to do justice to the mass inputs of native plants, but the highlight for me is the 13 Asclepias incarnata, Swamp Milkweed, which transforms this space into instant Monarch butterfly habitat. Asclepias incarnata is the Monarch butterfly’s host plant.) This nature preserve garden project in Ballston Spa, NY is going to be ongoing, we expect to continue to add native plants to the woodland, prairie and meadow gardens over the next couple years. 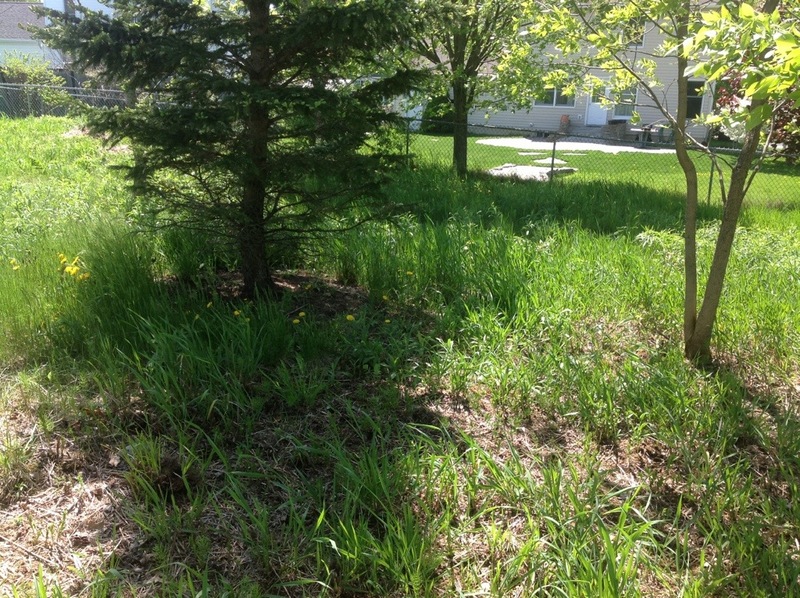 Eventually a small pond will be added, which will complete 100% of the property’s requirements for wildlife habitat area certification with multiple conservation organizations. Over time the native plants that are establishing their roots this year will fill in and spread onsite and spiderweb out to the local ecosystem by birds spreading the seeds. The dramatic positive effects of a project like this on the local environment are going to be experienced for years and years into the future by all members of the neighboring community, and once again I’m so honored to have been asked to be a part of the homeowners lovely vision. Thanks, C. and D.